I LOVE Mother’s Day! I have wonderful children who spoiled me royally yesterday. My son-in-law BBQ’d a salmon and the other “kids” provided all the side dishes and my youngest made several desserts – lemon squares for me, and “cuppy” cakes for my two grandbabies. I got flowers and gifts and cards and best of all, they did all the clean-up afterwards! It was a great day! Every Mother’s Day I am reminded of my last Mother’s Day spent with my Mom. Two months later Mom succumbed to cancer so I remember with fondness mingled with sadness that last special day I could honour my mother here on earth. I had gone home to Victoria knowing it was likely going to be my “good-bye” visit. We knew our time together was short so we made every minute of that last Mother’s Day together count. I didn’t know it at the time but I found out after she passed, that she had “weaned” herself off of some of the medication she was taking to combat the pain because she wanted to have a “clear head” to talk to me. She knew that she would be having last, memorable conversations with me and she did not want her medication to have her too drugged to articulate properly what she wanted to say to me or too drugged to remember my words to her. I had one goal that weekend: share the Gospel with my mother. She had grown up in a Christian home but disappointments with the church in general (she grew up in Denmark, just before the Second World War broke out) had led her to becoming disillusioned with religion, church and God when Denmark was occupied by Germany. Our conversations that weekend were deep and poignant, with me sharing why I was a follower of Christ and she imparting final, experiential life lessons with me. On Mother’s Day she said, “Lynn, I have made my peace with God. I’m not afraid to die.” It was not exactly the kind of answer I wanted to hear but God gave me peace about it. On July 8, 1990 my Mom passed away and I miss her every day. Yesterday our Pastor preached the most amazing Mother’s Day sermon I have ever heard. It was a tribute to all Mom’s, but especially poignant since this would be the first Mother’s Day he would not celebrate with his own sweet mother. With him living in Alberta and she living in the southern States it was not the miles that separated them this time. At 95 years of age, his mother had passed away the day before. The fact that he could courageously, and boldly preach a day after her passing is a testimony in itself. Just before the Worship service, my husband and another concerned friend asked if he could or should preach that day. They understood how very difficult it would be for him. Our Pastor then went forward and preached his message and gave a great tribute to his Mom who had been a follower of Jesus all her life. I’m pretty sure she smiled at him from heaven! As I gathered my “kidlings” around me yesterday, I remembered our Pastor’s words. The simplicity of the message at its heart being, am I showing MY children how to follow the Lord Jesus? Do I model for them attributes of a Godly mother? Am I a Proverbs 31 woman? Admittedly, I fail. I mess up. I’m not perfect, but I try to follow the Lord with all my heart, mind, soul and strength. Have I arrived? Nope. I’m not there yet…I’m still a work in progress. 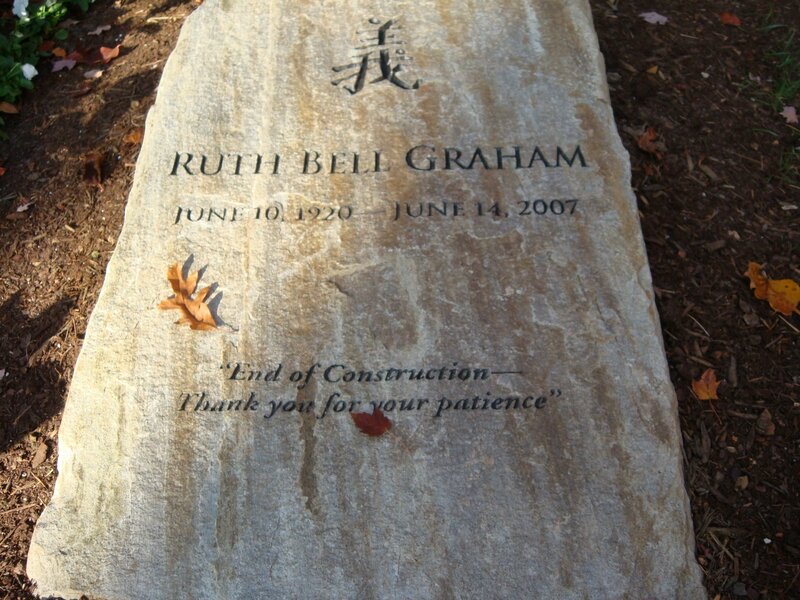 This entry was posted in Proverbs 16:9 - Journey Thoughts and tagged Grief, Mom, Mother's Day, mothers, Ruth Bell Graham, tribute. Bookmark the permalink.